Sure Passover is more meaningful and at Hanukkah you get presents for eight nights if you work it right, but only at Purim do the Jewish people have both a Pageant and Carnival! And this year Purim --- the Feast of Esther commemorating the victory of the Jews over the evil Haman in ancient Persia --- falls squarely at the same time as the 2013 Academy of Motion Pictures Arts and Sciences Annual Awards. Ya know, the Oscars! Purim Pageant & Carnival Celebration! "Hello again, everyone! I'm Lara Spencer from ABC's Good Morning, Insipid America! Tonight on the Red Carpet we'll meet and chat with the A-Listers starring in the Academy Awards Purim Pageant and Carnival's retelling of the the story of Esther! Vashti! Vashti! Get over here! Ladies and Gentlemen, here's Jennifer Lawrence as King Ahasuerus' ill-fated first wife Vashti! "Hi, Lara! Hello, everybody! My first year as Vashti, this is so epic! "Yes, it is a big year for you, Jennifer, what with Silver Linings Playbook and The Hunger Games." "Forget those, Lara! Here at the Purim Carnival we've got Carnival Games! Including bean bag tosses!" "Of course, Vashti is banished by King Ahasuerus for refusing to appear naked in front of his drinking buddies. See that kind of modesty starting a trend in Hollywood, Jennifer?" "No way, Lara. Ever watched Girls on HBO? Next thing you know Jonah Hill's gonna be droppin' trou!" "Well, good luck with the banishment, Jennifer --- I mean, the banishment from Hollywood if you don't win the Oscar!" 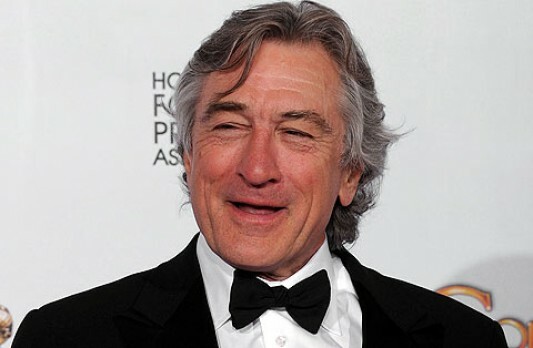 "And this next face needs no introduction: The Legendary Bobby DeNiro!" "Great to be back here as the King, Lara! Haven't played Ahasuerus since 1995 with Jimmy Woods as Mordecai!" "How does the role of Ahasuerus compare to your other great roles, Bobby?" "I see King Ahasuerus as Don Corleone minus 75 IQ points. Here's a guy with a hot wife in Vashti who wants to take off her clothes only for him, and he trades her in for a Jewish wife who wants to take off her clothes only for the alterations person at Bloomingdales!" "So true, Bobby! Tell me, are you going to make an uncomfortable rambling speech at this year's Purim Pageant? "Of course, Lara, it's my trademark." "We'll look forward to squirming through that!" "Great to be playing a steadfast, stalwart, square-jawed, handsome, heroic, noble, save-the-day, Supermanish type, Lara! Again." 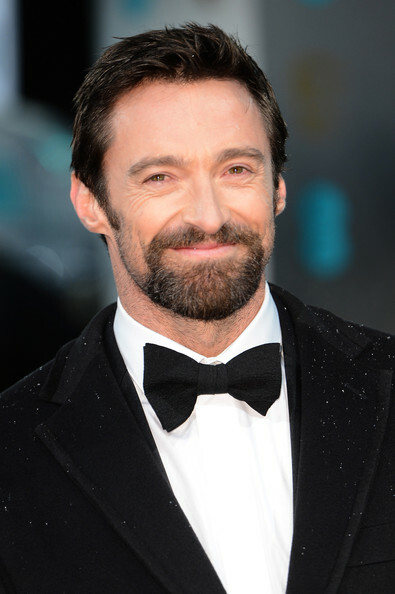 "Is there nothing you can't do, Hugh?" "Make all the other guys in the world feel less insecure?" "And now ... could it be ... yes, it's the annoying sound of hundreds of groggers! Sounds like a swarm of bees that's just had lunch at Lance Armstrong's buttocks. 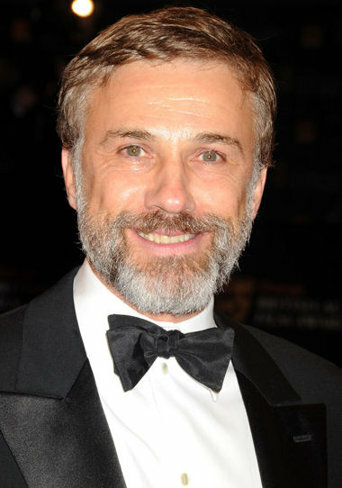 And here's our Haman, none other than Christoph Waltz! "It's wonderful to be here, Lara! My first time out as Haman, so happy to be playing another great anti-Semitic villain." "You've got big shoes to fill, Christoph, the role having been played by Mel Gibson for many years." "Yes, it's a tough act to follow. And me with Jewish children yet! If you don't mind, Lara, gonna go love me some hamentaschen!" "And now all the way from the Princess Diaries to Queen Esther herself --- Anne Hathaway!" "Oh, Lara, it's wonderful to play the Queen at Purim!" "Gorgeous gown, Anne! How have you been preparing for this big role?" "That's our great Purim Pageant cast, Ladies and Gentlemen! The Pageant is going to be starting momentarily; for those of you who want to watch the actual Academy Awards, it's on line somewhere, look it up. And tomorrow on GMIA, we'll have exclusive coverage of me, Josh Elliott, and Christolph Waltz rockin' those Carnival bean bag games! You won't wanna miss it! Now if you don't mind, folks, gonna go love me some hamantaschen! If you liked this post, you might also like Purim: You Are Who You Eat, Go Down, Twitter, and It's A Miracle. If you hated this post, I hope you have a lousy Purim! **Hang Haman --- Purim version of Hangman. Yep, we make it personal, folks! Now that is freaking hilarious!! And educational I have never heard of Purim...NO idea!! Thanks, Kathy. And believe it or not, I sing just as well as Seth MacFarlane and am 39 years old just like him too! I've learned more about Jewish traditions in three months since I've been following your blog than in the entire previous 57 years. You guys have more holidays, festival, and celebration than all other religions combined + you're the Big Guy's choosen people. We Gentiles are green with envy. Big Guy's Chosen People? Yep. We're so chosen that even we Jewish agnostics get to hang with him. I'll put in a good word, Russell, should your status ever come up.